Before I start: I have been AWOL the last few days and I am sorry. I'm spending most of my time on architecture homework and model-building.... but you don't want to hear about that! Onto the juicy stuff! Usually I am a pro at telling people what's wrong with their interiors. Not like an actual pro, but like a pro in my head. However when it's something closer to home, I struggle to step outside my little box and see it with objective eyes. 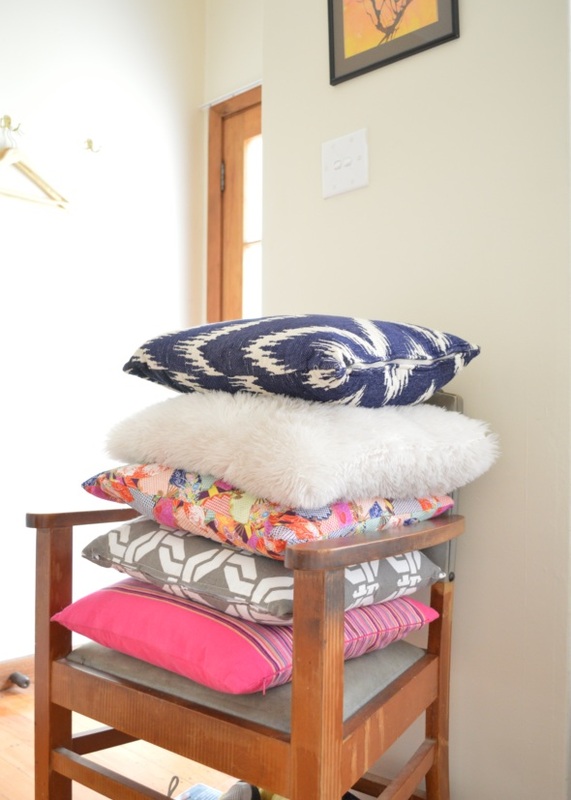 At times, said pillows appear really pretty on Instagram. 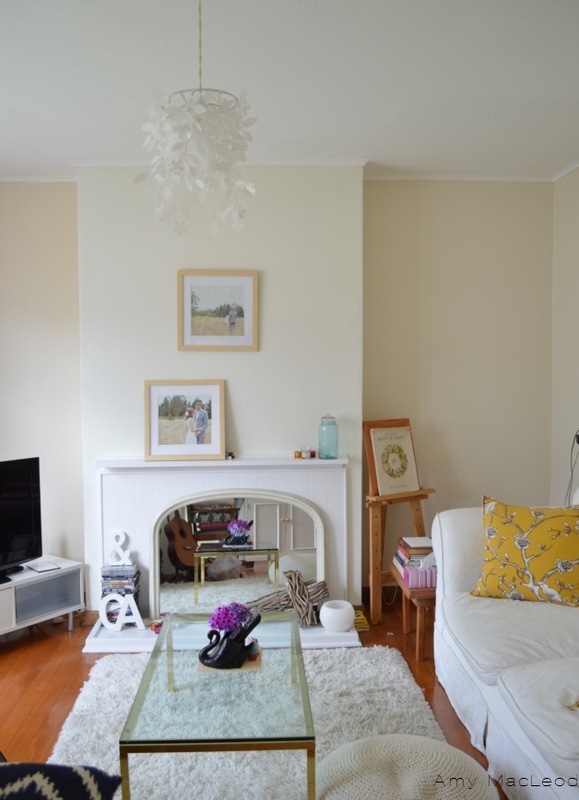 And in various shots around our living room in this home tour. So today I decided to try something new. It's called: simple. and replaced them with the yellow ones from our bedroom (which is also in our home tour). Because who wants to kick the pillows off your bed every night so that you can go to sleep, and try to cram them onto your bedside table because you have a phobia of hair and dust getting onto it if you put it on the floor? And now the coffee table looks scarily empty. But I am weary of thinking about styling piles of books and then having to move them every time we go to eat something (this is our only table). So I kinda like it. I feel like clearing things away gives me some space to think about what the room needs. ....... like SOMETHING for that big ol' piece of blank wall under our ridiculously (and lovely) tall ceilings. Any ideas? 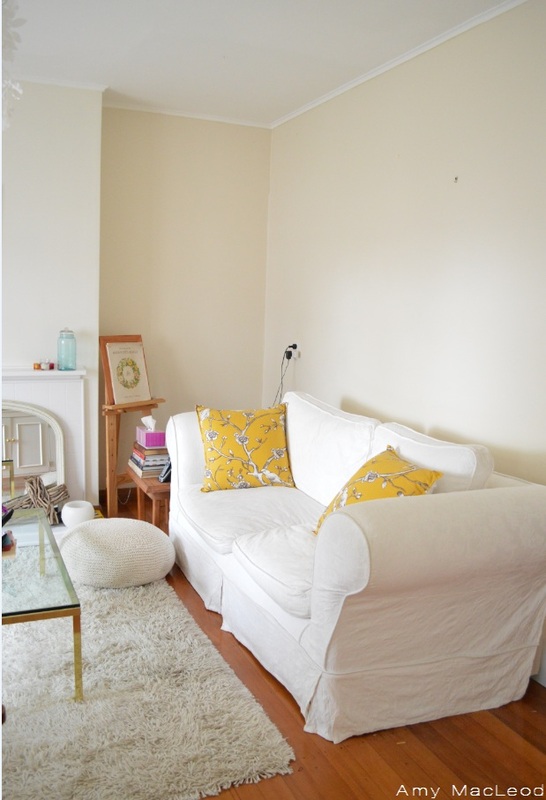 What colours would you use in this room? As for the rest of the room....... there are a few other changes I shall tell you about after the weekend. Hope you have a lovely one! i do the same thing with pillows! i'm like "i want a cozy, eclectic feel" and i pile them up. then one day i come home and wonder where the heck they all came from and why i thought it looked good, haha. your place is a far stretch from that, however. i think it looks great both ways! you have a great eye for mixing and matching. Oh wow all those pillows are irresistible ... i love all the colours. Girl I know what you mean. I hate having to move my coffee table books every time I want to actually use the coffee table...but they are just so pretty. What are we hoarders of beautiful objects to do?! hahhaa love this postt! Hilarious explanation of the pillows, and so appreciate that little detail about having to move the pillows off of the bed, but not actually wanting them to be on the floor... that's a girl after my own heart right there. 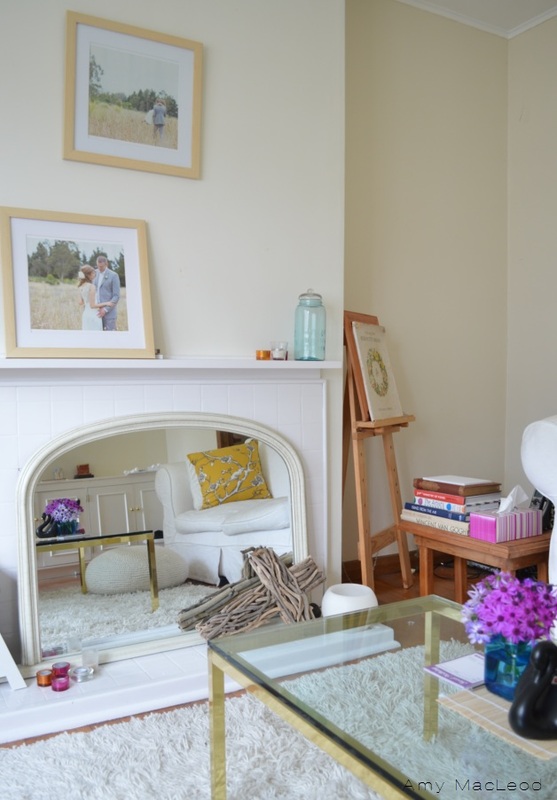 On a more serious note-- I do sincerely support the steps you've taken towards simplicity in your space. Too often I think people get so caught up in this pressure of having to fill up every space with lots of objects, colors, etc. Sometimes it's really nice to just... have some empty spaces, some quiet patterns, some stillness. i loooove it! ESp the mirror in the fire-place thing! That's so cute and just so original and brilliant! 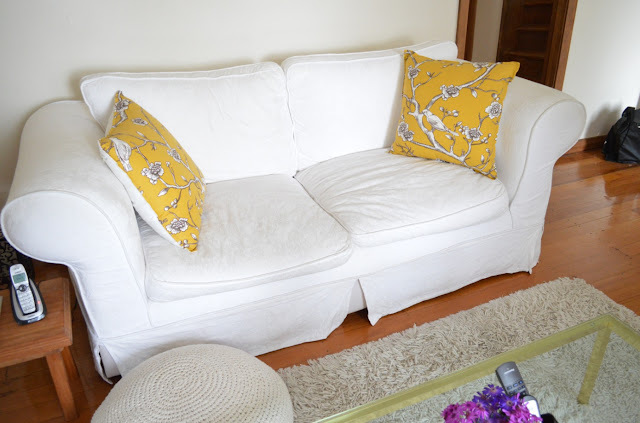 Your living room is starting to look so light and airy -- I love the small changes you made!